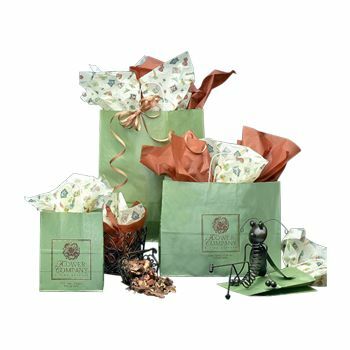 These chocolate decadence gift bags will wow each of your customers. 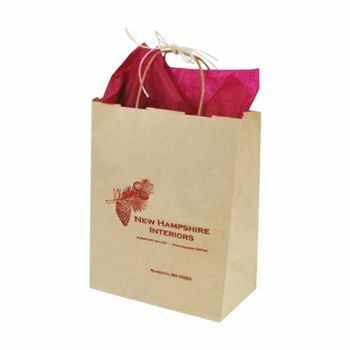 Coordinating chocolate colored handles made of kraft paper make these bags easy to carry. 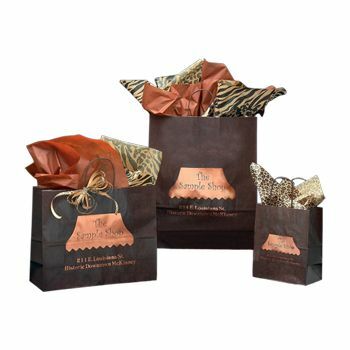 Shower your customers in style with the chocolate decadence style of paper gift bags. The chocolate color is imprinted onto white kraft paper. Coordinating handles are attached to the bags. 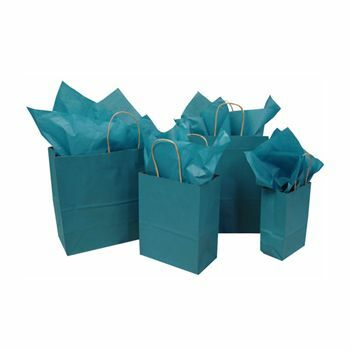 Customize these kraft paper gift bags with your company's log or slogan in the color of your choice. Logos can be hot stamped or ink printed. On-time delivery is guaranteed and rush delivery is available on any order. 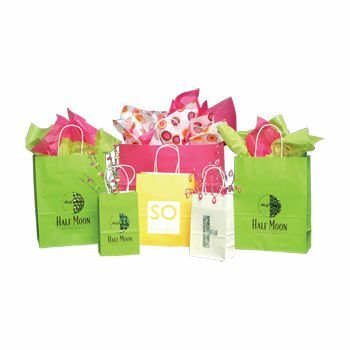 Get started today creating the gift bags that will surely impress your customers.